Google is gearing up to launch the successor lineup to Pixel smartphone this year, dubbed Pixel 2 and Pixel 2 XL. However, leaked renders of the upcoming devices have surfaced online that show off both the phones in a 3D video, showing off the device from all the angles. In line with the previous rumours about the upcoming Pixel devices, the Pixel 2 is expected to feature a 4.99-inch display and share more specs with its bigger sibling, the Pixel 2 XL that will come with a 5.99-inch display. The main difference between the two phones is the bezel around the screen. Otherwise, both the devices share the same design with negligible differences. 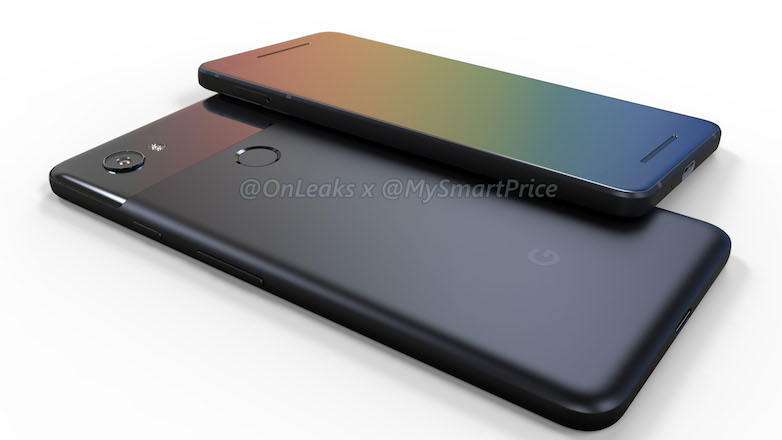 According to the leaked render video posted by MySmartPrice in association with the serial leakster @OnLeaks, the Pixel 2 will measure 145.3 x 69.3 x 7.8 mm while the XL variant will settle at 157.6 x 76.3 x 7.9 mm. Both the phones add up to half a millimetre around the camera lens bump on the rear panel, which is 8.2 mm on Pixel 2, 8.6 mm on the Pixel XL 2. The last year’s Pixel lineup has a lot in common with the upcoming lineup. The rear panel of both the Pixel 2 and Pixel XL 2 is almost identical to their predecessors. However, the glass window is significantly smaller and also bears camera bumps. Interestingly, this time around, Google seems to be following Apple as it also seems to be giving up on the 3.5 mm audio jack. In the renders video, we see no headphone jack on the phones. For audiophiles, the upcoming devices come with a dual-stereo front facing speakers. Another difference between the Pixel 2 and Pixel 2 XL is that the latter features “bezel-light” display as seen on recent flagships like the Galaxy S8 and LG G6. The renders do reveal a lot about the phones, but we are yet to know about Google’s plan for colour options and specifications for the devices. Earlier rumours claimed that this time around could offer its flagship in more colours and may include specs like 4GB of RAM, expandable storage of up to 128GB, and Snapdragon 836 chipset. Last year, Google launched the Pixel phone at a standalone event in October. For now, we can expect the company to follow the same timeline for the new Pixel lineup.